AlmoProfessionalA/V has launched a free five-part webinar series on the transition from selling products to selling services in the AV industry. 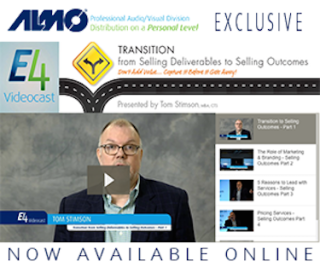 Based on an educational session from Almo’s E4AVTour, the series is led by TomStimson and availablenow for viewing. To view the five-part webinar series, clickhere.